What makes a Meluha undeniably exceptional comes down to the process and the final product. An average cigar will take two to three years to make. 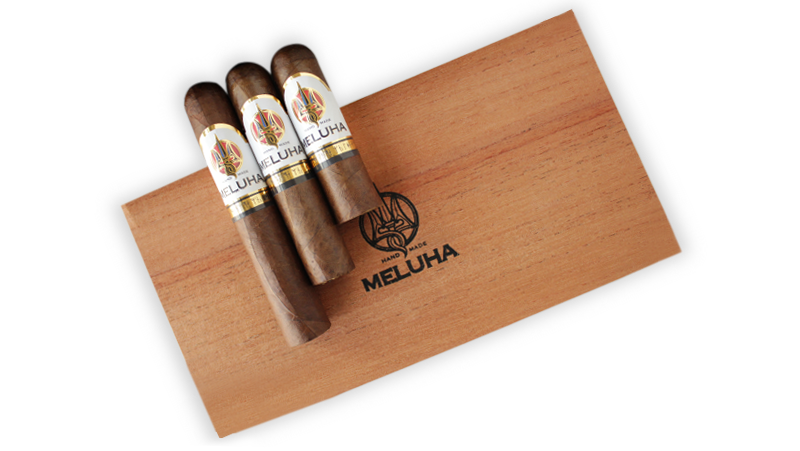 A Meluha takes seven to nine years, from the initial planting of the tobacco seed to the finished blend. The result is a taste that is fuller-bodied and bolder, lingering on the palate and memory long after the last puff. 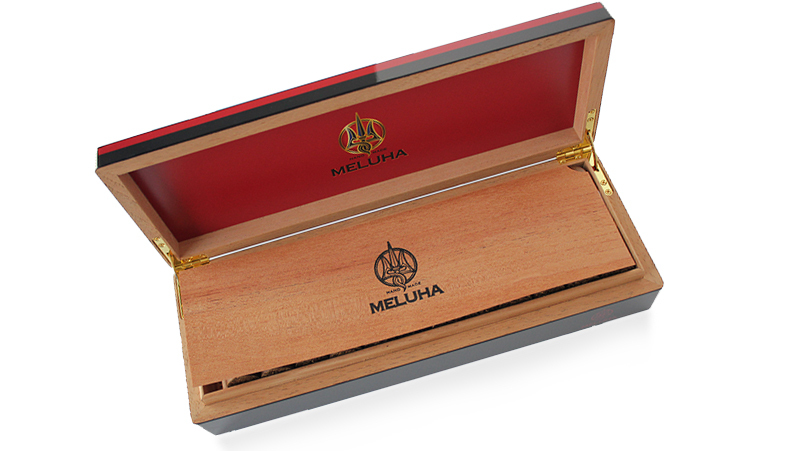 The rolling of a Meluha also takes longer because of the cigar’s large ring gauge. The industry standard varies much but is rarely above a 54 ring gauge. 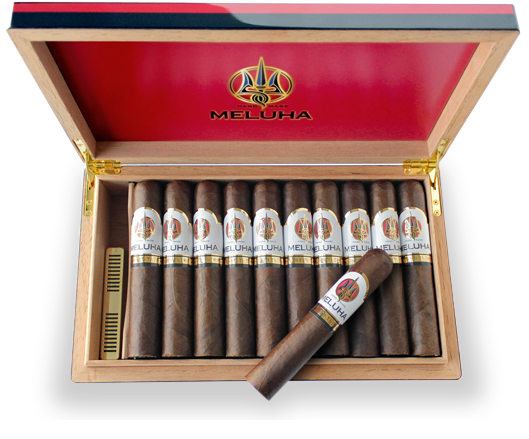 Meluha cigars have a 66 ring gauge, a size that takes to longer to roll and fill but that smokes consistently well, evening out the flavours throughout the cigar. The larger ring size also means the head is resistant to heat, however close one smokes to it. 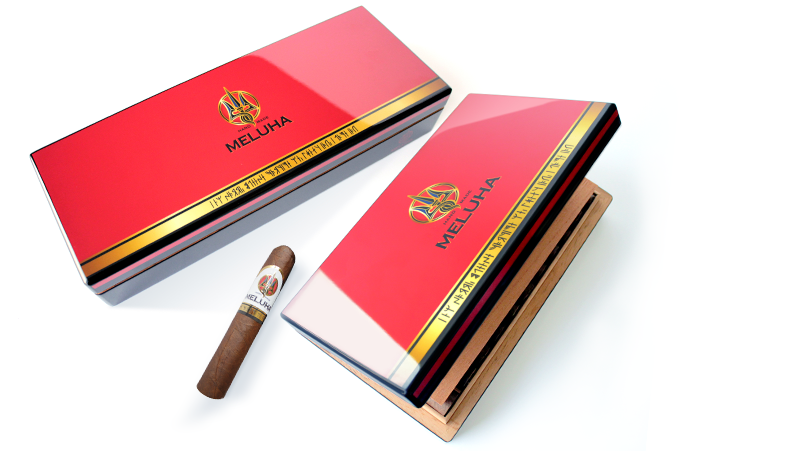 Strong and earthy with a hint of spice, the signature Meluha series of cigars are an indulgence in sheer luxury. Lighting one will be the start of an exhilarating adventure and the beginning of total surrender to the senses. An immensely enjoyable smoking experience, with a large ring gauge and long body. Harmoniously blended flavours and a size that combines the best of both worlds, the Meluha Mustang is a classic and universally-loved cigar. Enticingly dark and full-bodied, this shorter cigar never falls short of flavour and pure pleasure. and a satisfying smoke after a great meal. When one is confronted by a cigar of the size of Meluha's cigars, the usual though goes to one of two. Either it's "too big to enjoy" or "Wow! Exactly what I was looking for." I fall in the latter. Out of my experience in smoking cigars of the years, I started to realize that the ring gauge is more important than the length of the cigar. The wider the gauge, the more likely one can enjoy the flow of air passing through the leaves that give each cigars its unique taste. This is why I enjoy Meluha's cigars. The only negative comment I have about the cigar is that I can only find it at the Dubai Duty Free. As I travel a lot, this is not a major problem but it does get annoying one wants a great non-Cuban cigar, it's just not easy to get." Phasellus luctus commodo ullamcorper a posuere rhoncus commodo elit. Aenean congue, risus utaliquam dapibus. Thanks!